The Public Service Association yesterday vowed to resist the proposals, in the NSW Industrial Relations Commission and through industrial action, starting with stop-work rallies across the state on October 8. 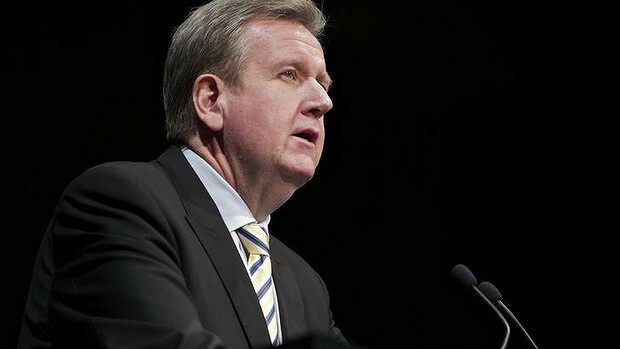 The NSW general secretary of the Public Service Association, John Cahill, said public servants would stop work between 9am and 1pm, with a meeting to be held at 10am in Sydney Town Hall which would be broadcast to about 40 venues. Mr Cahill said the government was planning to abolish the annual leave loading and other conditions the union had spent years fighting to win. ”It’s a disgraceful attack on the conditions of public sector workers in NSW,” he said. Mr Cahill said the changes would reduce shift penalties and the periods for which they would be paid. The acting secretary of the NSW Nurses and Midwives Association, Judith Kiejda, said about six nurses working for NSW Police and about 1000 working in the aged care, disabilities and home care sector would be affected by the proposed cuts. ”To have the cuts imposed on them on top of the government wages policy [which caps salary rises to 2.5 per cent] is outrageous. A spokeswoman for the Finance and Services Minister, Greg Pearce, last night confirmed that the changes related to 98 awards. ”The application affects approximately 80,000 public servants,” she said. But she said the amendments did apply to those working under a state award for the Department of Family and Community Services, including aged, disability and home care. The matter has been set down for further hearing in the commission on October 10. I bet Bazza’s not putting his hand up for a pay and conditions cut and all the axe men in his posse who are out to skeletonise everything that makes this state the best state, good onya Bazza….!! !